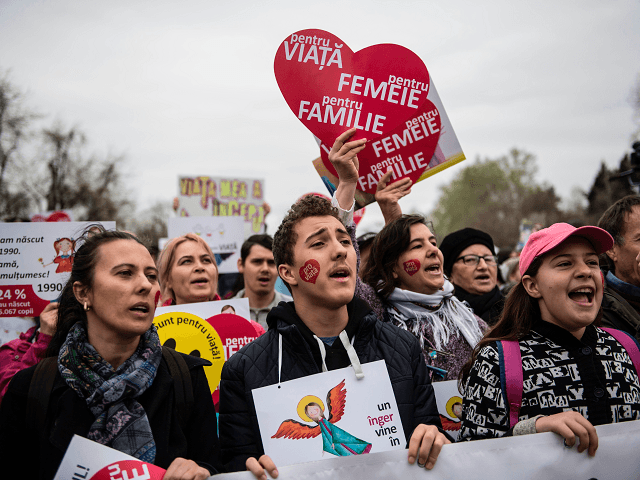 BUCHAREST, Romania (AP) – Several thousand people including Orthodox priests have marched through the Romanian capital and other cities to express their opposition to abortion and their support for family life. The ProVita Foundation says about 210 abortions are carried out every day in Romania. Abortions are legal up to 14 weeks. Former Communist dictator Nicolae Ceausescu outlawed abortion and birth control in 1968 in a bid to boost Romania’s population. Abortion was legalized in 1990 after his ouster and execution in 1989.